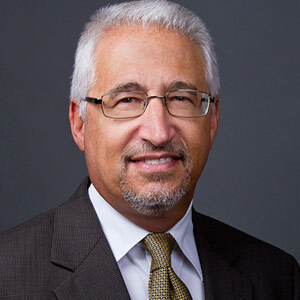 Mr. Kiraly has over thirty years of experience in assisting clients in government contract accounting, contract administration, regulatory compliance, and damages calculations. In addition to his years of consulting experience, he has worked for government contractors and was an adjunct facility member teaching graduate accounting courses. He has testified as an expert witness in Federal District Court, state courts, The Court of Federal Claims, Federal Board of Contract Appeals and the GAO. He has also taught seminars and classes on government contracting issues. Mr. Kiraly has extensive experience with all types of government contracts, including Firm Fixed Price, Cost Reimbursement, Incentive (both fixed and cost types), Time and Material and Level-of-Effort contracts. He has provided assistance to clients regarding the interpretation of and compliance with such complex regulations as the Federal Acquisition Regulation, Cost Accounting Standards, Procurement Integrity Act, False Claims Act and Truth in Negotiations Act. He has directed regulatory compliance, defective pricing and cash flow reviews of major public contracting companies and served as a court appointed monitor. Mr. Kiraly has provided expert testimony on government contracting issues ranging from the procurement process and bid protests to increased cost and lost profits claims. He has assisted clients involved in terminations for convenience and termination for default matters. Amounts in dispute have been as high as $3 billion. Mr. Kiraly’s consulting engagements have included the preparation and defense of claims related to increased costs resulting from breach of contracts or changed work claims on government and commercial contracts. He has analyzed damages in diverse industries including construction, manufacturing, aerospace, weapons systems, shipbuilding, and electronics.